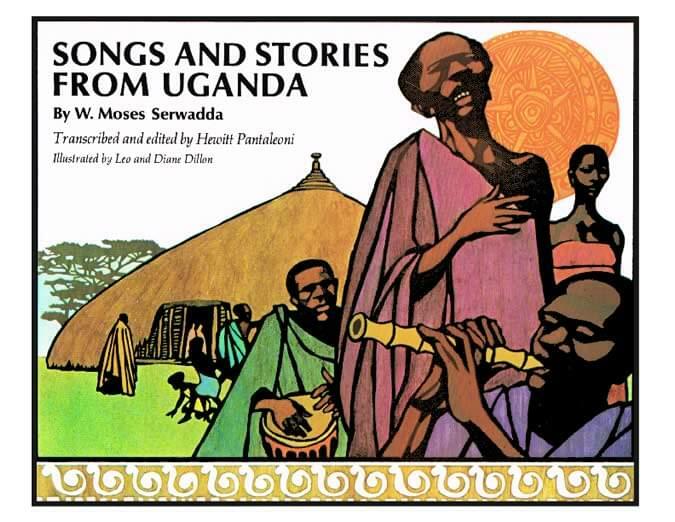 A colorful, authentic sampling of 13 traditional story songs with English narrative, work songs, game songs, and lullabies from the repertoire of W. Moses Serwadda, Ugandan musician, folklorist, and faculty member at Makarere University in Uganda. The songs appear in the original Luganda, with phonetic pronunciation, English translation, and an explanation of the story or purpose of each. The songs and stories included are from Serwadda's own large collection of folk material, much of it acquired as a child in the household of his grandfather, an administrator in the Bukunja area appointed by the King of the Baganda. There are stories of magic birds and animals, with songs and narrative interwoven. The musical transcriptions by the late ethnomusicologist Hewitt Pantaleoni are clear and easy to follow. Bold, carefully researched and detailed woodcuts by award-winning artists Leo and Diane Dillon add an exciting visual dimension to this unique collection of music and folklore from East Africa. The recording ensures that pronunciation, melody, and rhythms will be easily and accurately learned, and the stories will be brought to life for those too young to read. Every song and song-interlude, performed by W. Moses Serwadda, his daughter and friends.